$325 and includes 1-year of unlimited service. We offer an incredible unit for fleet tracking that needs to be waterproof. The fleet waterproof tracking device is ideal for those who need to track trailers and equipment all day. This unit has the unique capability to be wired to the tail lights or any limited power source. This device has a 7-10 day backup battery. This allows the unit to keep tracking when the trailer or equipment is removed from the power source. For example, when the trailer is being pulled, the GPS tracker will recharge. 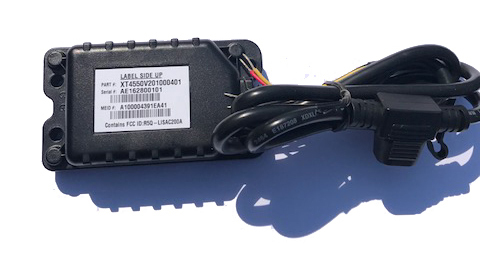 Unlike our TTU-720 trailer tracker which updates once per day and has a 5-year battery life, the waterproof fleet tracking device runs off a limited power source and updates thousands of times per day. We have solutions for all our clients’ requirements. This unit is $325 and includes 1-year of unlimited service. After 1-year, the service is only $99 per year. There are no contracts and never monthly fees. What is the difference between the trailer tracker with 5-year battery and a fleet waterproof tracking device? Excellent question! Your limitation isn’t service, it is battery life. Think of your cell phone, probably last 1 or 2 days on a single charge. The TTU-720 trailer tracker has a 5-year battery life and updates once per day. In the event of a theft or recovery, it can be placed into aggressive tracking mode. The waterproof fleet tracker will run off the power of trailer tail lights or limited power source. The waterproof fleet tracking unit has a 7-10 day backup battery. So when it’s disconnected from the hauler, it still has power. If you are concerned about theft and missing equipment, the TTU-720 is a great unit. The waterproof fleet tracker are for those who need to track all day long. 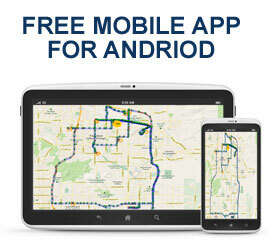 It shows every stop/start, routes, speeds, mileage reports, and much more. It has all the functionality of our fleet tracker but this one has long backup battery and will handle weather conditions.